As its name suggests, The Wright Brothers Soho Oyster House is a seafood restaurant with a predominant emphasis on oysters. Located on Kingly Street in the Carnaby area, it is well located for the shopping pleasures of the independent boutiques and designer brand shops of this famous area. Carnaby also plays home to a string of other tasty restaurants such as Dehesa and Cinnamon Soho, and the boutique cake shop Choccywoccydoodah. Wrights Brothers Soho Oyster House is arranged over three floors with a lovely inviting atmosphere. There is an open plan ‘raw bar’ on the ground floor that looks over Kingly Court, banquette seating upstairs and a communal dining area on the lower ground floor. 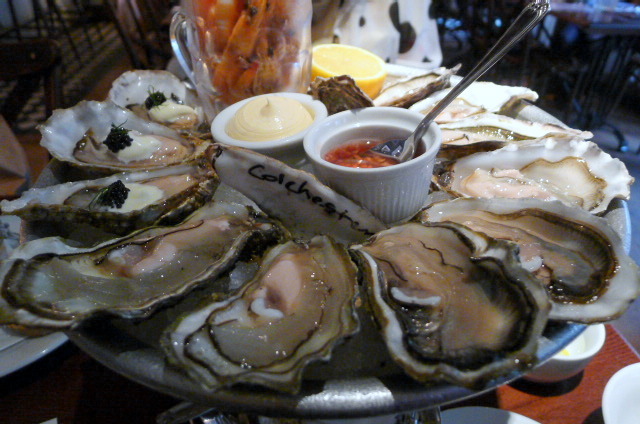 There is a decent range of oysters at The Wright Brothers, all of which are sourced from the Duchy Oyster Farm on the Helford River in Cornwall and other farms in the British Isles and France. Colchester oysters (3 for £6.50) were fat and intensely irony. In contrast, the Lindisfarne oysters from Northumberland (3 for £6) were milky and creamy. 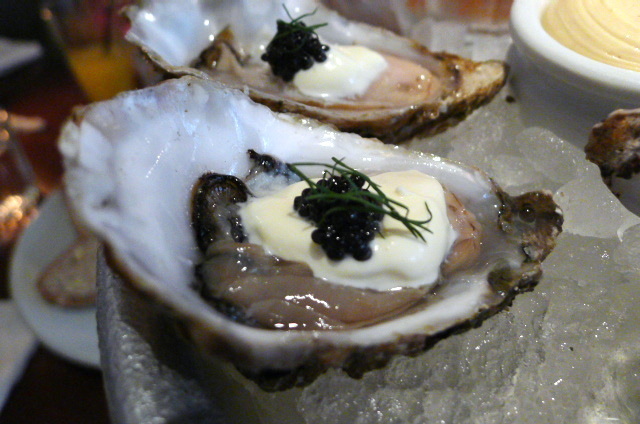 Wrights Brothers also offer a choice of oysters with toppings, one of which was caviar and crème fraiche (3 for £12). Using the Carlingford oysters from County Louth, Ireland, the combination of the topping with the creaminess of the Carlingfords proved a good match. All the oysters were delicious. A half pint of Atlantic prawns (£9.50) were tasty if a little salty. 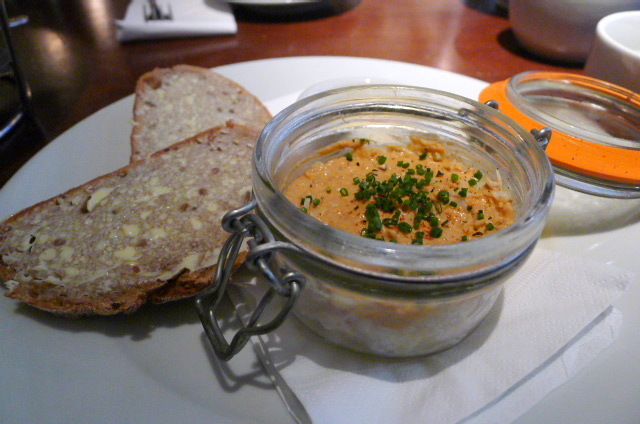 Potted handpicked Cornish crab (£13) was fresh and delicious with the topping of red crab being subtle and sweet. 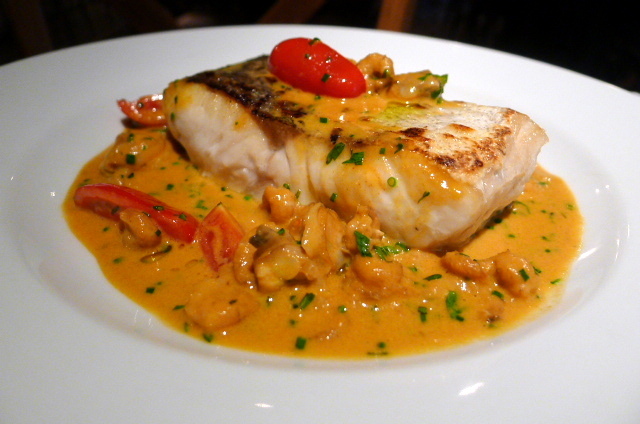 Cornish hake fillet (£17) was fresh but would have worked better with a crispier skin. The fish was moist, almost too moist from having been roasted in the oven. It left the accompanying seafood bisque runny which was a shame as the bisque was very tasty. 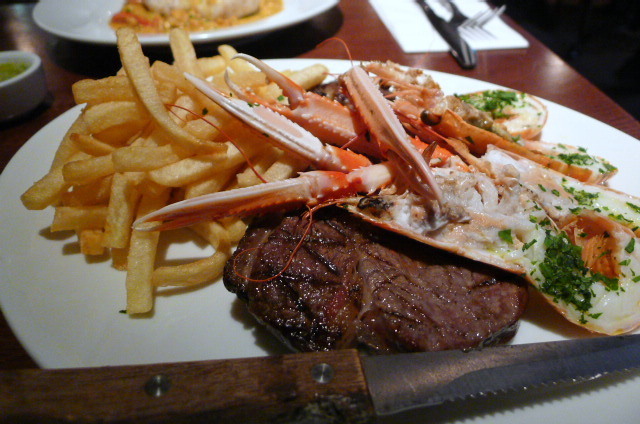 The steak in a surf and turf of 8oz sirloin with langoustines, French fries and garlic butter (£32) was a little chewy. The langoustines were sweet however, and the fries were thin, crispy and satisfying. The garlic butter was also scrummy. 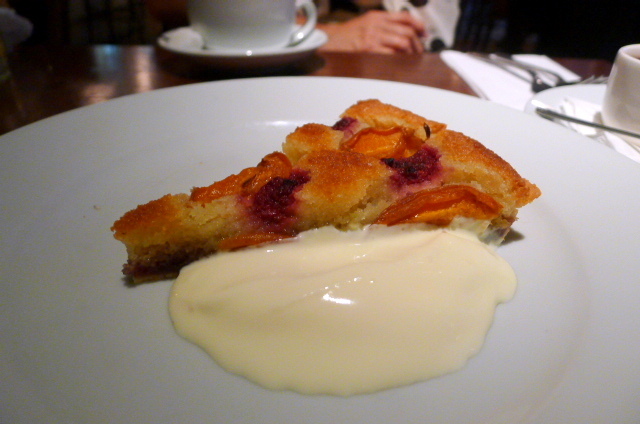 Desserts of an apricot, peach and almond tart (£6) with crème fraiche and a chocolate pot with hazelnut praline (£5.50) were well made and reasonably priced. 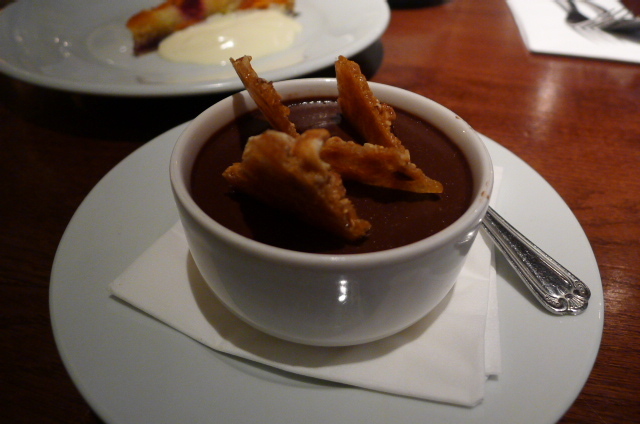 The tart was moist and the pot was decadently chocolaty. The fresh seafood from the ‘raw bar’ and the desserts proved to be solid choices. The main course selections were a little weaker, but all around, this is a neat inviting restaurant with accommodating service. Price range: About £22 – £52 per head. Excludes drinks and service.